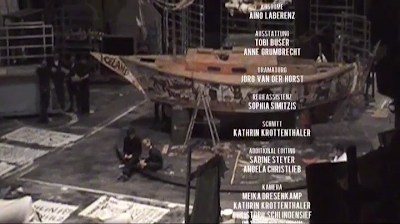 About a decade after completing his last feature-length film Die 120 Tage von Bottrop (1997) aka The 120 Days of Bottrop – an ambitious work the director regarded as ‘The Last New German Film’ – German absurdist auteur Christoph Maria Schlingensief flew to Lüderitz, Namibia, the German South-West African colony with an entire cast, including actors Irm Hermann, Patti Smith, Robert Stadlober, Björn Thors, Klaus Beyer, Stefan Kolosko, etc. and a full film crew to direct his last cinematic work, The African Twintowers. Of course, at the time of filming, Schlingensief had no idea that it would be his last attempt at directing a film as fate beckoned and he became ill with lung cancer in 2008, tragically dying – not many years after his father – at the premature age of 49 on August 21, 2010 in Berlin, Germany. 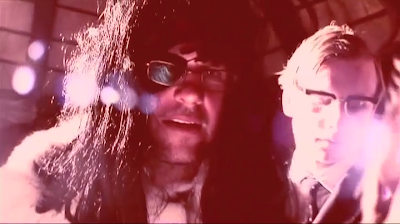 Unfortunately, Schlingensief – who spent the last decade or so running a political party (Chance 2000), hosting and directing TV shows (Freakstars 3000, Foreigners out! Schlingensiefs Container), working as a theatre (Hamlet: This is your Family, Nazi-line, Elfriede Jelinek's Bambiland) and opera (Richard Wagner’s Parsifal) stage director, and pretty much everything else related to audio-visual media aside from film – ultimately failed in his attempt to bring The African Twintowers to completion as scripted, but the filmmaker eventually released a documentary for German TV of the same name featuring footage from the aborted film and the many but sometimes merry misadventures it entailed. 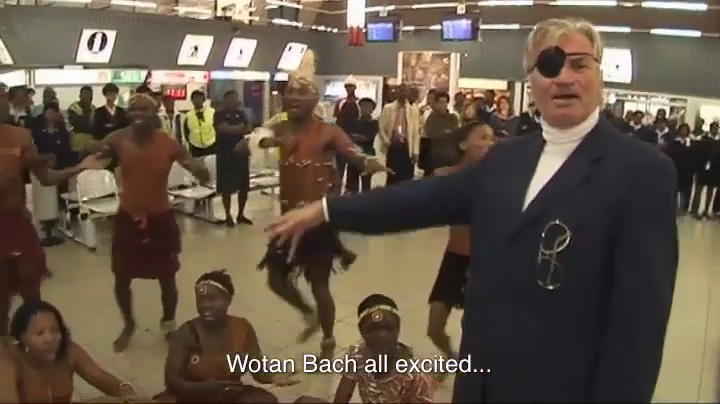 As explained early on in The African Twintowers (2008), Schlingensief’s bag (containing his annotated script for his Wagnerian 9/11 epic) was stolen by two local Herero homeboys, so on the second day of filming he decided to scrap the script as the ill-fated filmmaker falsely believed the random act of thievery was a positive premonition of sorts. Originally about Richard Wagner, the 9/11 terrorist attacks, Hagen of Norse Mythology and Wagner’s Der Ring des Nibelungen, and the Namibia Herero people, among many other seemingly unrelated things, Schlingensief refused to follow what he had left of the script as he felt such organized filmmaking made him feel “like a civil servant.” Essentially, The African Twintowers follows oftentimes flustered and even sometimes furious Schlingensief as he spends 27 days in exotic Afrika as he hopelessly tries to make sense of a film that was never meant to be, but would ultimately sow a different film of sorts which I am reviewing now. Featuring narration by the director recorded 3 years after the artistic nightmare in Namibia and not long after contracting life-threatening lung cancer, The African Twintowers is undoubtedly Schlingensief’s most dispiriting work as a document of a prematurely deceased polymath’s faux pas, frustration, and eventual failure with the medium he loved most. Needless to say, when so-called "Godmother of Punk" Patti Smith has come to comfort your tears on an African beach, it cannot be the most blessed of days. 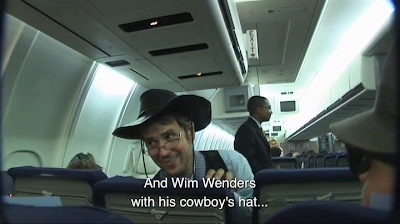 Mockingly and pseudo-pretentiously dressed as ethno-masochistic German filmmakers Michael Verhoeven (Nasty Girl, Mutters Courage) and Wim Wenders (Wings of Desire, Until the End of the World) with an exceedingly effete scarf and gay cowboy hat, Christoph Schlingensief enters Namibia passionately, if absurdly thinking, “Can you imagine? The Golden Palm at Cannes?” in regard to his latest attempt at an eccentric epic set in the dauntingly dark continent, The African Twintowers. 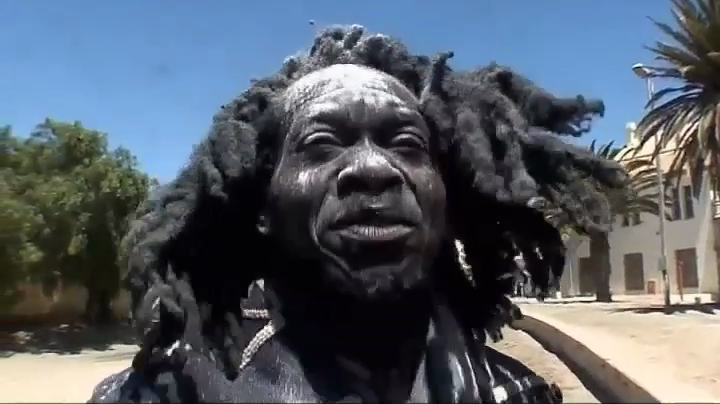 Over a decade before, Schlingensief directed the cinematically charming United Trash (1996) aka The Slit – a United Nations gross-out spoof set in Africa that is probably the only film to feature the curious aesthetic cross between the works of John Waters and Herschell Gordon Lewis with that of Leni Riefenstahl – but his naughty negrophiliac dreams of Namibia for The African Twintowers would not be in his favor and the film would be plagued by an overwhelming number of personal and artistic problems, including the death of the director’s father via heart attack and steady dissolution of all of his artistic intentions and resources. Originally envisioned as a feature about the American catastrophe of the September 11 terrorist attacks happening in an abject African slum where dead New Yorkers would be satirically set side by side with the sort of starved, disease-ridden bodies that appear in Africa quite regularly, The African Twintowers was set to be a sardonic attack on both Western technocratic globalization and the hyperbolic glorification of 9/11 victims in American mainstream media, but instead Schlingensief was inevitably left with 180 hours of footage that was judged by various film editors as being unworkable and inaccessible. Inspired by the Edda of Norse mythology, his former mentor Werner Nekes, and Werner Herzog’s Fitzcarraldo (1982), Schlingensief did manage to create a piece for his ambitious long-term project The Animatograph after moving (with the help of happy Herero friends) a wooden ship entitled the ‘arch’ through the desert for several kilometers that was eventually placed on a revolving stage that was bombarded by jubilant locals, which was also supposed to act as the first set-piece for The African Twintowers, but things were not to be in the humid hotbed of "Unity, Liberty, Justice." 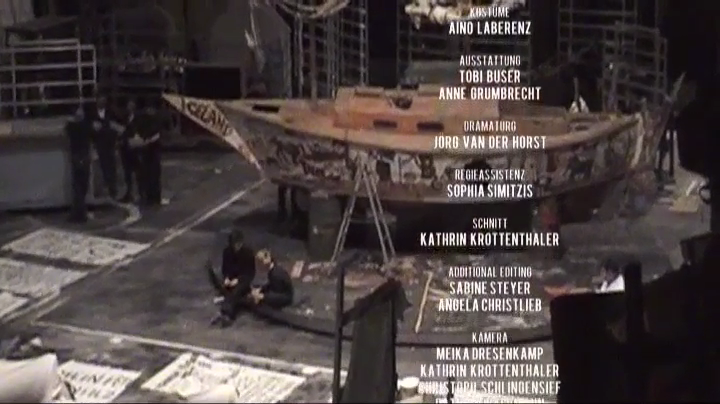 Naturally, knowing Schlingensief’s resourcefulness and creativity, not all of the footage to The African Twintowers went to total waste as some of it was screened at various art exhibitions throughout Europe and the boat was eventually taken to the Burgtheater in Vienna, Austria in 2006, becoming the center-piece in his Actionist-inspired improvised theatre play Area 7 - St. Matthews Expedition (2006); the final culmination of his animatograph project. 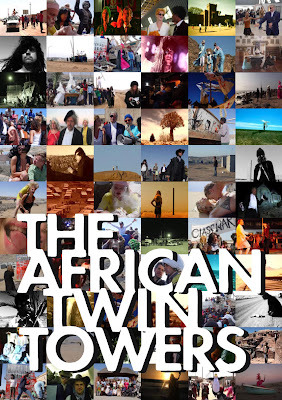 Ultimately, the documentary The African Twintowers acts as a torrid testimonial to the fact that Christoph Schlingensief had totally extinguished his vitality as a filmmaker, at least in any tradition sense, as by that point in his life he had already become heavily involved with ‘active art’ projects (political parties, TV shows, avant-garde stage-directing, etc.) without boundaries and with less rules when compared to the intrinsically contrived nature of filmmaking. Although he was never interested in directing films with linear storylines, by the time he started working on The African Twintowers that had a beginning and an end, once writing: "Whether in the theatre or in the cinema: it starts on the left, finishes on the right; there is the beginning, there is the end. A fundamental mistake." Always feeling constrained by the limits of filmmaking, it was only inevitable that Schlingensief would transcend his roots as a film director like no filmmaker before or after him. Regarding his failed but sometimes fun experience with The African Twintowers, Schlingensief states at the end of the documentary: “It was a great experience which generated amazing images, strange situations…which…brought up a lot of issues, especially regarding 9/11 and the significance of images of icons which are created and remain with entire communities over decades perhaps centuries and which will just seem like alien visions from outerspace one day. Archeologists will then excavate this place with bits of food and a boat and they say, ok, there’s been a river where boats could navigate, so this project can be used to distort history and produce a greater truth than the mind can process. That’s why it defies beauty. Because you can’t find closure.” In a sense, the documentary The African Twintowers also acts as a sort of final testament for Schlingensief’s life, ending the work with the somewhat worrisome and unsurprisingly nihilistic words: “I’ve always enjoyed life a lot, even more so now but what’s really the point of it all? I mean, what…?” Judging by the footage featured in The African Twintowers for the aborted project of the same name, the unfinished film resembled a cross between Schlingensief's previous African flick United Trash and a work by American 'enfant terrible' Harmony Korine (Gummo, Umshini Wam), but one can only speculate what could have been, but as the director once stated, "I often produce images no actor would put in his casting tape." Assuredly, one of the best sequences in The African Twintowers is when Schlingensief teases and attacks a group of hyper and hysterical Herero schoolchildren while dressed up in an absurd penguin costume. 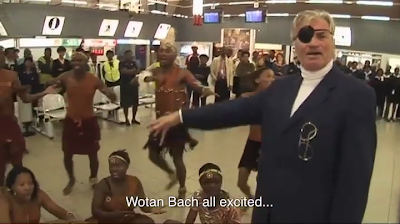 As he explains quite seriously in the documentary, Schlingensief had no interest in saying sorry to the people of Namibia for ancient colonial crimes of long-dead imperial Germans, but instead brings euphoria and splendid recollections to the Herero people of today. After all, what child wouldn't have fond and vivid memories of a wacked-out German guy with a fucked-up haircut bringing a rotating boat to their barren and scarcely populated desert? !